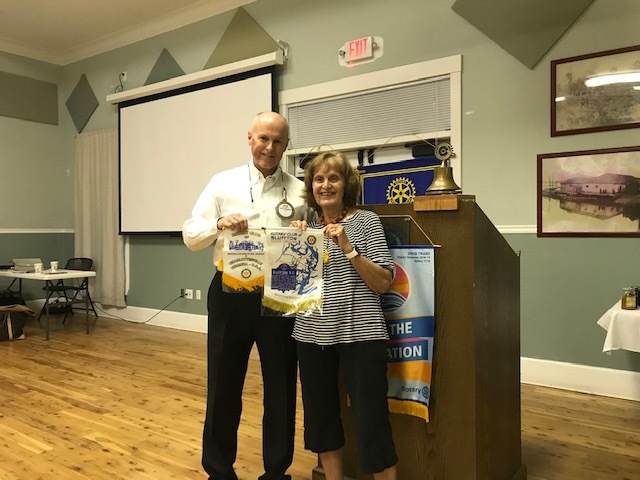 Rotarian Susan Thomas presented our flag to Steve Miller, Past President of the Bluffton, SC Rotary Club on Oct 10. This club sponsors three festivals a year and engages the entire community! 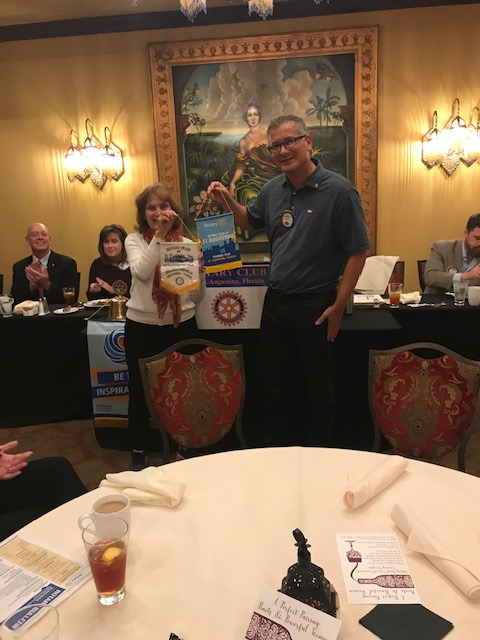 Also, Rotarian Susan Thomas visited the St Augustine Rotary club on Oct 22. She presented our flag to Rotarian President Bobby Crum.